Cycle Chic®: Portraits of cyclists - Oda: "I miss skiing. I used to ski everyday." Portraits of cyclists - Oda: "I miss skiing. I used to ski everyday." "I'm from Norway, but I live in Copenhagen to do my studies. I bought a bike when I arrived." "Mostly because it's really practical, fast and also cheap." "What equipment are you carrying in your bike?" "Er...I miss skiing. A lot. I used to ski everyday." 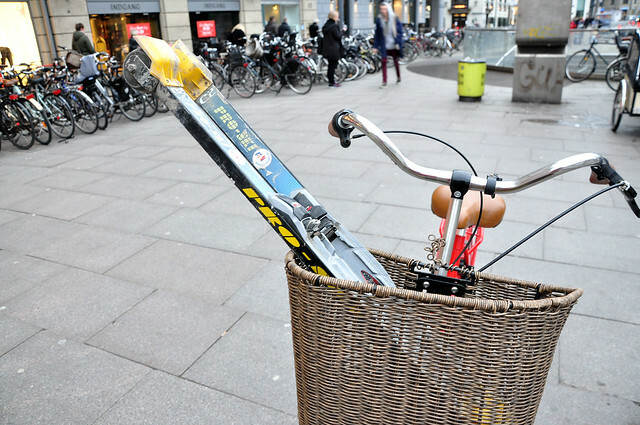 "Do you cycle in Norway?" "Sometimes. Usually just in summer, since there is lot of snow and... hills." 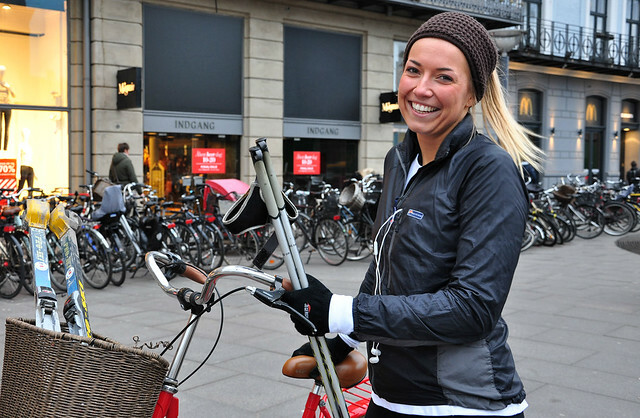 "Do you think you will bike more when you will go back to Norway?" "Yeap. At least if I don't live in the mountains, but in the city center of Oslo. I'll probably take my bike to work. I can consider using the new bike-sharing system. 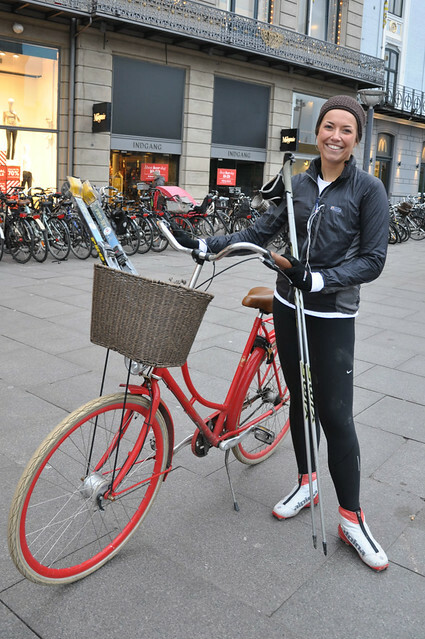 But you know it's kinda difficult to get around on bike in Oslo."